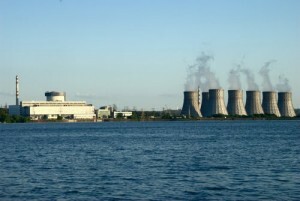 According to the contract signed in October 2011, the Kharkov-based plant Turboatom manufactured two block-module capacitors with the non-corrosive pipe system for the turbine driven feed water pump of the turbo-installation with the capacity of 500 Mw for the fifth generating unit of the Novovoronezhskaya nuclear power plant. Balakivskaya nuclear power plants (Russia), which are manufactured by Turboatom at present. nuclear power plant is the fact that they are delivered to the plant assembled and in this way they can be commissioned right after installation.